Fig. 15. A pool on the plateau of Har Karkom. 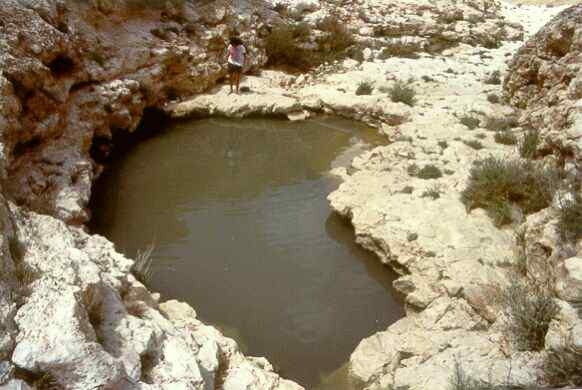 Such pools are filled by rainwater and hold water for periods of several months. (Site HK 92; photo EA94: ISR XII-29; WARA W05876).